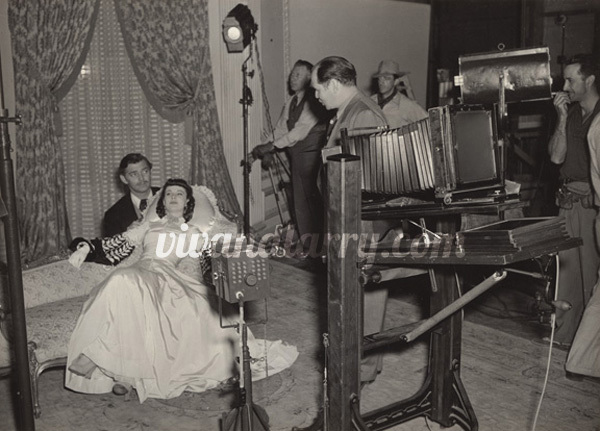 Clarence Bull (center, to right of camera) photographing Clark Gable and Vivien Leigh for Gone With the Wind. Notice the famous red ostrich feather dress designed by Walter Plunkett being used as a backdrop. Born at the end of the 19th century, Bull became fascinated with photography when his aunt brought a camera to the family cattle ranch in Montana. While in hospital recovering from a hip operation, Bull was visited by a local artist called Charles Marion Russell, who encouraged the eager young boy to get “one of those Kodak cameras and let it exercise your fingers while you work on [capturing beauty with] your heart!” Bull later wrote, “I had to get that Kodak or bust,” and paid for the device, a pack of film, and printing paper by working at his father’s general store after school and riding around the town on horseback, delivering copies of the Saturday Evening Post to eager readers, among other entrepreneurial activities. 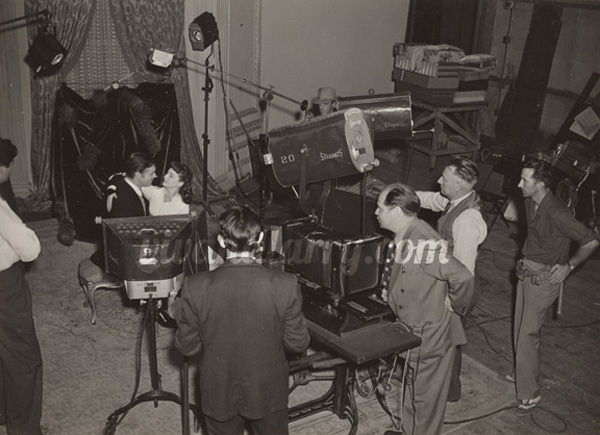 Bull got his break in Hollywood as an assistant cameraman on the Charles Brabin film Breakers Ahead (1918) at the newly-formed Metro studios. He then worked for Thomas Ince at Triangle Pictures (the studio in Culver City later housed Selznick International and Desilu), and for Samuel Goldwyn when Triangle was absorbed. Known as Garbo’s personal photographer, Bull was in demand to enhance the images of all the studio’s top stars. He met Clark Gable on his first day at MGM and quickly established a personal as well as long-term professional relationship as he did with Johnny Weissmuller and many of the other stars. Working at the studio for a number of years gave Bull the opportunity to become familiar with the studio’s stars and the images they wished to project on screen, so that he was able to translate these images into characteristic and definitive portraits. “I felt like a sort of mouse – standing by for a lion,” Katherine Hepburn related when describing her first sitting for Bull. “He came – he was easy – he was sweet – he was distant. Listen – so was I – I was easy – I was sweet – I was distant. We never got to know each other – but I knew that he liked working with me – and I knew that I liked working with him. 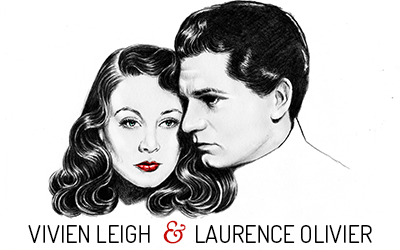 [sic]” Terence Pepper writes of Bull’s fatherly manner, and describes an incident when the photographer locked Laurence Olivier and Vivien Leigh in his gallery after one of her portrait sessions for GWTW so that they could settle a misunderstanding between them without anyone intruding. It was this ability to connect with his subjects on a human level and to make them feel at ease on a professional one endeared Bull to the hundreds of famous faces who sat before his camera. Thanks for these pictures and info, Kendra ! 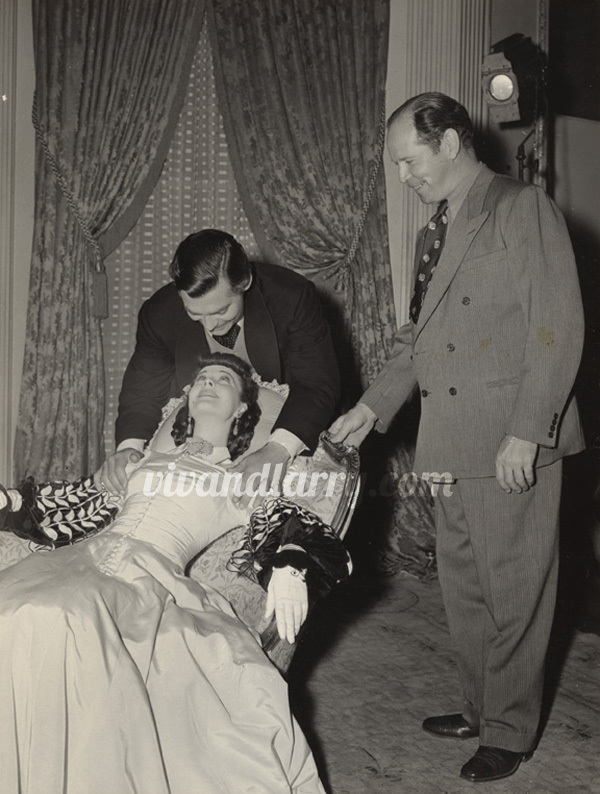 …No wonder the red velvet dress needs restoration now LOL ! Great posting on how these iconic images were shot..amazing how cumbersome the camera was and Clarence having his juggle with his pipe too! so different to now! I agree! 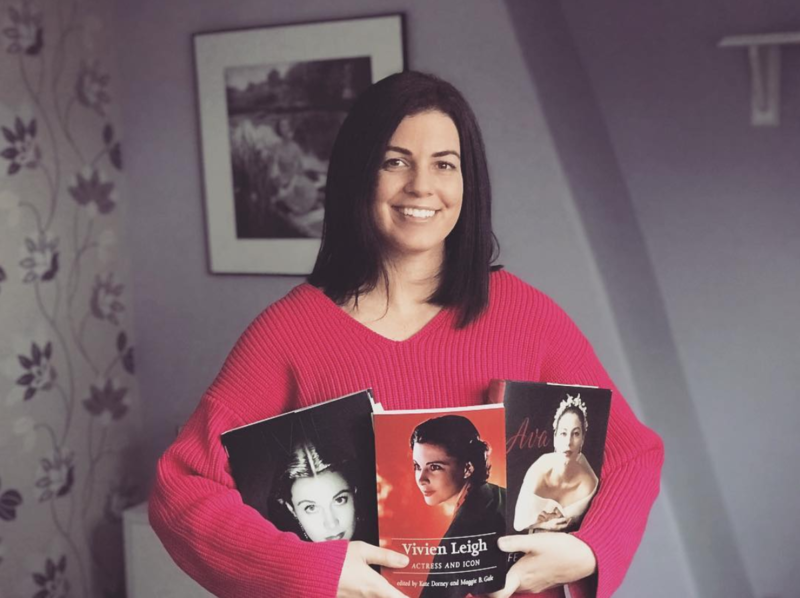 Thanks for writing a very informative foreword to the Man Who Shot Garbo book!! Sounds like you’ve got some fascinating photos in your collection! 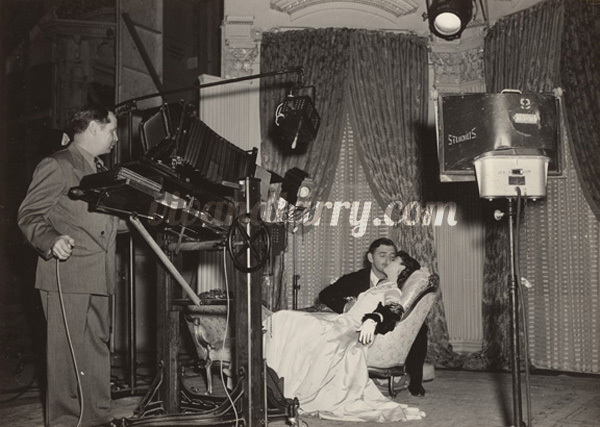 Because they were by Bull, it’s likely they were taken for MGM publicity, perhaps to be used in fan magazines. Have you tried searching the fan magazine database at lantern.mediahist.org? It might be helpful.